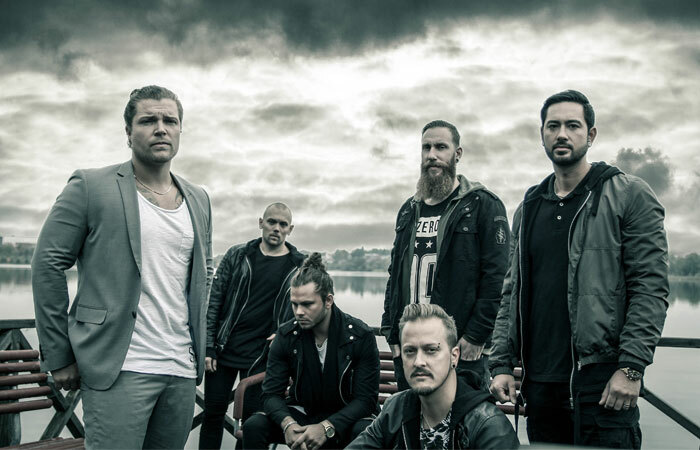 dEMOTIONAL is an up & rising, promising sextet hailing from Sweden, formed in 2009 with the aim to step in and be at the front line of the new wave of Swedish metal bands. With their latest release *Discovery*, dEMOTIONAL have proven themselves to be a solid six-man-army worthy of that place. Notorious for their energetic live shows, their unique sound and their down to earth connection with their fan base, dEMOTIONAL has become one of Sweden’s most recognised metal bands. With millions of streams, countless live shows/tours and plenty of radio air time around the world, they are now more than ever ready to conquer the world! Discovery (produced my Pontus Hjelm, Dead by April) is the bands third full length album and was released 27th May 2017 worldwide. In 2018, two new singles have been released: Invincible and Dreamers Light.